You are currently browsing the category archive for the ‘Chem Resources’ category. ReactIR. Infrared spectroscopy revives in the age of NMR. We have a brand new Mettler-Toledo ReactIR 15 sitting in my lab. It is rather simple to use- just dip the probe in your reaction mixture. It needs a little LN2 to chill the detector. The software is reasonable, bearing some resemblance to iControl of the RC1 sitting a few meters away. The instrument is used to follow the progress of a reaction by monitoring the growth or extinction of IR absorptions. What is interesting for the user is that it is not necessary to identify any of the peaks in the course of an experiment. The software can integrate absorptions and plot their change over time. The fingerprint region of the IR spectrum is put to good use in that it is a fruitful region for numerous absorptions to appear. The thing is still new to us, so we’re early in the learning curve. The probe in use has a wave number range from 2500 to about 650 reciprocal centimeters. It is possible to detect up to 3000 wave numbers with a different probe. The probe is connected to the interferometer by a fibre optic cable comprised of a silver bromide optical pathway. The thing is the size of a coffee maker and costs as much as a used helicopter. The ATR probe tip is small enough to be immersed in experiments at the scale of a scintillation vial or a 5 liter flask. What it brings to the table is the ability to follow the progress of reactions in real time for process optimization. Pulling samples and trudging over to the NMR for in-process checks is tiresome and time consuming. One limitation is the electrical classification. As with other electrical devices you have pay attention to the NFPA classification of the space it sits in. The ReactIR 15 is class 1, but not division 1. If the instrument must be used in this space, there are ways to fashion an enclosure to get around this, according to Mettler. Have a look at your computer as well. If your computer throws sparks and coal cinders, you may want to keep it away from that pool of pet ether on the floor. With uptick of natural gas exploration and “recovery” happening, you have to wonder if anyone is bothering to look for helium in it? And I’m referring to the Marcellus shale formation in particular. Wouldn’t it be nice for some forethought here and try to recover some of the helium that may be lost. Helium is a non-renewable resource and is critical to many industrial sectors, including superconductor applications. The US has held helium in reserve since 1925. Helium extraction has been most fruitful from gas wells in the western states. The Helium Privatization Act of 1996 has resulted in the release of the helium reserve to the private sector at a federally mandated price. The FY2011 price is$75.00 per thousand cubic feet. According to the BLM, the agency that manages the strategic reserve, their enrichment facility in Amarillo, TX, can produce 6 million cu ft per day of crude helium at ca 80 % purity. The Amarillo plant provides crude He to refiners who polish it to the necessary level of purity for the end user. Th’ Gaussling was interested to read the August 30, 2010 issue of C&EN regarding the market situation with the rare earth elements. Or, at least certain rare earth elements (REE). The staff at C&EN has finally picked this matter up on their radar. Significant ore bodies are located in countries prone to reflexive autocracy, i.e., Russia and China. More sgnificantly, as a friend and colleague recently pointed out, China has decided to exercise its Lanthanide fist in by slapping an embargo on rare earth materials available to much of the global market. The affected technologies include those using neodymium (or rare earth) magnets for power generation or motors. Rare earths are used in optics, ceramics, fuel cell membranes, and catalysts as well. It’s a pretty big deal for the rest of us. Lots of American R&D resources have gone into this technology. This is the political chemistry of the REE’s. China is doing what China does- exercising national industrial policy through an emphasis on development of its natural resources. The USA, with its deep preference for free markets, is doing what it has done the last few decades- waking up surprised after a night of riotously drunken merrymaking in the marketplace. That is, responding to shortages well after the momentum has begun. While US technologists were busy inventing things with REE’s, China was busy anticipating the upcoming demand for its REE’s. Why? Because raw mat sourcing is what R&D people do afterwards. They develop a widget and then ask how they will source the thing. Just natural. While the US was busy shutting down mining operations in the last decades of the 20th century, China has been systematically developing its resources. China has an abundance of journals and workers devoted to REE technology. The big corporate mind set in the US recoiled from investment in mineral wealth at home. A great many of the mining operations in the US are operated by Australians, Canadians, and South Africans. Somehow they are not afraid to extract minerals here, but the sons and daughters of the pioneers seem to be shy about it. China seems more focused on developing its industrial base rather than its consumer base. While there are some industrial policy lessons for the west here, the fact is that China is as China does. We should not be surprised at this behavior. The signals of a tougher Chinese trade stance come after American trade officials announced on Friday that they would investigate whether China was violating World Trade Organization rules by subsidizing its clean energy exports and limiting clean energy imports. The inquiry includes whether China’s steady reductions in rare earth export quotas since 2005, along with steep export taxes on rare earths, are illegal attempts to force multinational companies to produce more of their high-technology goods in China. Despite a widely confirmed suspension of rare earth shipments from China to Japan, now nearly a month old, Beijing has continued to deny that any embargo exists. It’s not all doom and gloom. Molycorp has announced an IPO to raise funds for expansion and modernization of its Mountain Pass REE mine. The geology of this ore body is described at this Cal Poly link. One of the issues complicating the extraction of ore from this massive igneous and metamorphic carbonatite complex is the proximity to the Mojave National Preserve. In the cosmochemical bingo of hadean Earth, the landmass that we now refer to as Asia filled in the abundance bingo card with the rare earth group of elements. The combination of plate tectonics, crystalline partitioning of cooling magma, and erosion have lead to surface occurrences of rock rich in REE’s. This group of metals is commonly defined so as to include Sc, Y, and the lanthanide metals. Others will include the actinides. All have a valency of +3 in their natural compositions. A few of the lanthanides can attain +2 (Eu) or +4 (Ce, Pr) oxidation states, but these are unusual. Sometimes scandium is left of the list. In other instances, both scandium and yttrium are left off the list. A graph of lanthanide element abundance vs atomic number will show a saw tooth curve where the even atomic numbers will be represented with greater abundance. This phenomenon isn’t limited to the stretch of lanthanides and is referred to as the Oddo-Harkins rule. One reference translated from Russian lists it as the Oddo-Kharkins rule (Ryabchikov, Ed., Rare Earth Elements, Extraction, Analysis, Applications; 1959, Academy of Sciences, USSR; Chapter by V.I. Gerasimovskii, Geochemistry of the Rare Earth Elements, p. 27). It is not uncommon for REE’s to occur as a group in the same mineral, though Sc is often absent. I’m aware of at least one mineral occurrence of Sc that is impoverished in lanthanides. Among odd-numbered REE’s, Eu is especially low in abundance. Within the REE group, two subgroups are often defined: the cerium subgroup (La, Ce, Pr, Nd, Pm, Sm, and Eu); and the yttrium subgroup (Gd, Tb, Dy, Ho, Er, Tm, Yb, Ln, and Y). The REE’s show some interesting attributes. According to the Goldschmidt classification, the REE’s are lithophiles, literally “silicate loving”. More to the point, lithophiles are oxygen loving. The REE’s are known to form refractory oxides. REE’s are commonly associated with pegmatites and, according to Gerasimovskii, have a genetic connection with granites and nepheline syenites. See the later post on the illuminating history of rare earth elements. This morning I found out what a “lipid raft” is. All of these years I’ve been in the dark about order and disorder in cell membranes. I didn’t learn about this through any sort of noble quest; I was merely curious about a movie. Molecular Movies is a website containing links to a marvelous set of animations about cells and molecules. I enthusiastically recommend that the reader visit this site. The movie mentioning lipid rafts is in “The Inner Life of the Cell“. Pity Larimer County in northern Colorado. We poor sods who live here find ourselves sandwiched between two unexploited deposits of natural mineral wealth. To the east of Fort Collins, near the hamlet of Nunn, is a fairly large uranium ore body. In the northwest, there may be an exploitable diamond deposit. 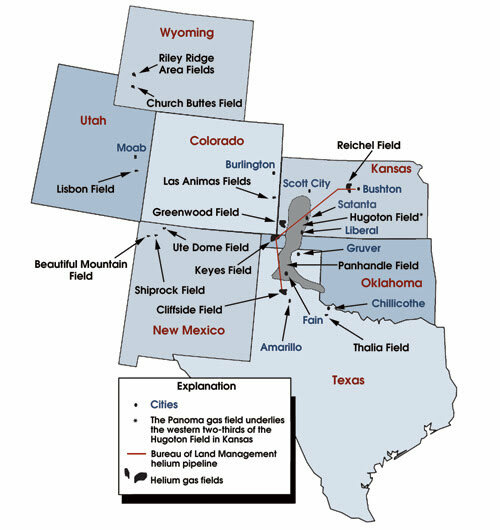 Perhaps hundreds of Kimberlite pipes may be lying in the CO/WY region waiting to be exploited. Diamonds have already been mined in northern Colorado, near the Wyoming border. The Kelsey Lake diamond mine closed in 2002 due to bankruptcy. The Kelsy Lake mine produced the 5th largest diamond ever found. The yield of the formation is reportedly 4 carats per 100 metric tons of ore. Given that the Colorado Front Range has been substantially gentrified, the discovery of mineral wealth in the vicinity of hobby ranchers and McMansions will make for some interesting times for the county commissioners. Uranium and Diamonds. NIMBY. 10 September, 2008. Anglo American has acquired a 12 % stake in the Australian mining firm Magma Metals Limited. Magma Metals had previously announced “spectacular” results August 11, 2008, in its exploratory drilling activities in the Current Lake intrusive complex north of Thunder Bay, Ontario, Canada. Magma reports a 2.5 kilometer long strike zone with mineralization varying from 5.6 g/ton to 26.5 g/ton of Pt + Pd from one drill hole. The drilling revealed concentrations as high as several percent of Cu and Ni as well. Magma Metals reports that it has been undergoing a 24,000 meter drilling program to map the Thunder Bay claims. There are interesting sites out there that list antiquated chemical terms. One apparently authoritative site lists 18th Century chemical terms (compiled by Jon Eklund of Smithsonian Studies in History and Technology). Cohobation –Repeated distillations, or any cyclic process in which a liquid is vaporized and condensed as, for example, in refluxing. Cucurbit – The lower part of an alembic. Shorter, more squat and ovoid than a matrass. Decrepitation – Rapid physical decomposition of some crystals when heated. Characterized by a crackling noise. Dephlegmation – To remove water from a solution, usually one of an acid or alcohol. There is a sense of purifying about the term, as opposed to simple concentration. Desquamation – The process of removing scaly crusts which form on a surface. Dulcification – Any process in which a caustic substance is rendered less corrosive. Empyreumatic – Tasting or smelling or burnt organic matter. Exalt – To make more spiritous, volatile, or generally more active; activate. I wonder if any of these would get through the peer review process if one were to try to use them in a procedure submitted for publication? Perhaps if Roald Hoffmann used them, I suppose. In the course of searching chemical topics I keep running into the on-line publication Molecules, A Journal of Synthetic Organic Chemistry and Natural Product Chemistry. This journal is part of MDPI, Molecular Diversity Preservation International, with an office in Basel, Switzerland. MDPI is also dedicated to the “deposit and exchange of molecular and biomolecular samples”. The idea behind this journal is to provide open access. The journal asserts that, with this approach, articles get substantially higher citation numbers. Open access is an alternative to paid subscriptions. In this model, the author pays the publication fee up front for peer reviewed editorial oversight and rapid publication. This was covered by C&EN in the July 3 of 06 issue. It was stated in the article that Elsevier was planning to offer the same service for authors who wanted free access for a cool US$6,000 per article. The Public Library of Science has a similar program, but with a more reasonable price structure. Molbank (ISSN 1422-8599, CODEN: MOLBAI) publishes one-compound-per-paper short notes and communications on synthetic compounds and natural products. Solicited timely review articles will also be published. Molbank was published during 1997-2001 as MolBank section of Molecules (ISSN 1420-3049, CODEN: MOLEFW). Since 2002 it is published as a separate and independent journal. Molbank is a free online Open Access Journal. To be added to the subscriber’s mailing list, write your e-mail address into the “Publication Alert” box on the right side, and press the “Subscribe” button. Molbank is indexed and abstracted very rapidly by Chemical Abstracts. The question is, will paying-to-publish be cheaper than paying-to-subscribe? And, how will library administration have to change to accommodate this? But perhaps the bigger issue may be related to a certain snobismus that exists in regard to publishing. At some point, the rock stars of research (Whitesides, Trost, etc.) need to wave their hands over this mode of publishing and utter something like “verily, it is good” so the rest of the herd will thunder in that direction. The writer of this blog has vented on this issue several times. Putting public financed research results into free public access is the fair thing to do and should contribute to innovation and get new technologies into use at lower cost. Turning over copyright of research papers to private third party groups only adds to the expense and complication to the use of this national treasure. No doubt this will be vigorously opposed by the publishing establishment. The US$6000 fee charged by Elsevier is absurd and in reality is the beginning of the end of their publically financed milking of the R&D cash cow.